A holiday week comes to an end, which is always a dangerous time since I have an extra day off (even if it is without pay), thus more opportunities to cave to temptation. ^_^; That said, it is time to get on the scales to face judgement. This week, pretty good news as I weighed in at 318.4 pounds, which is a 1. 6 pound drop from last week’s 320 pounds, and this marks a new low since I started losing weight. I wasn’t as careful as I should have been at the start of the week. I still need to work on that. Also, I made baked chicken, using a recipe I found online, which turned out to be pretty good, especially in terms keeping the chicken breasts juicy. ^_^ I also did a batch of baked chicken drumsticks, and as has always been a problem for me, I did scarf out a lot on chicken while it was fresh. From Wednesday on, I was good, having salads for lunch with my diced chicken breasts in them, and then a sensible, low-carb dinner (like a can of tuna; some shredded cheddar; a couple of spoons of Parmesan cheese, and some pork rinds if I need crunch). 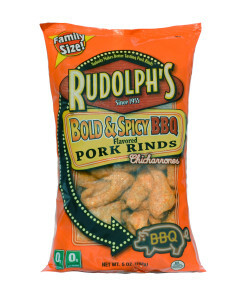 Speaking of pork rinds, I’m not crazy about plain ones, and the hot ones are just heat without flavor. But, I did finally find a brand and flavor that just rocks. 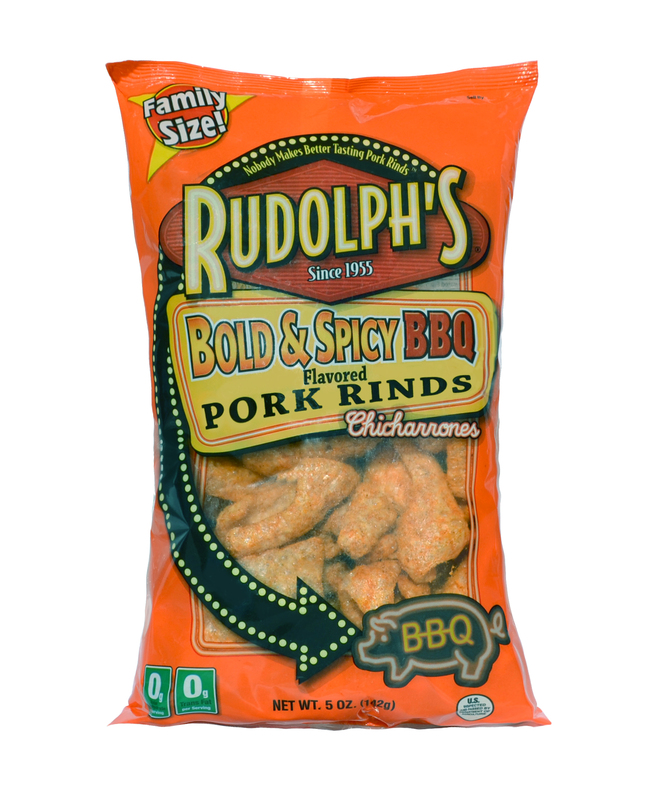 Rudolph’s Bold & Spicy BBQ Flavored Pork Rinds. I don’t like BBQ potato chips, but I do like these BBQ pork rinds. Man, these are good, and perfect for low-carb meals where I feel the need for crunch, or for when I feel the need for crunch in general (like last night, after a hard day at work). This entry was posted in Weight Loss and tagged Carb Addicts Diet on February 22, 2014 by AstroNerdBoy.